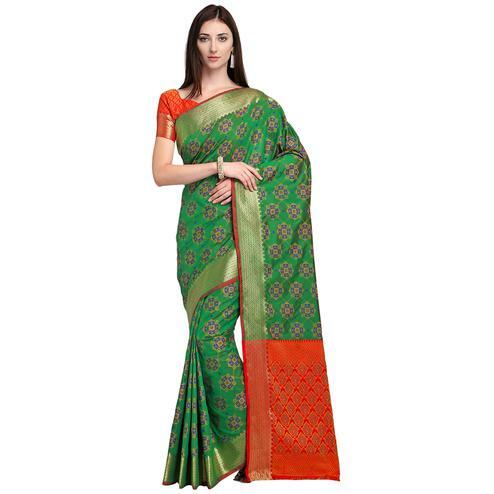 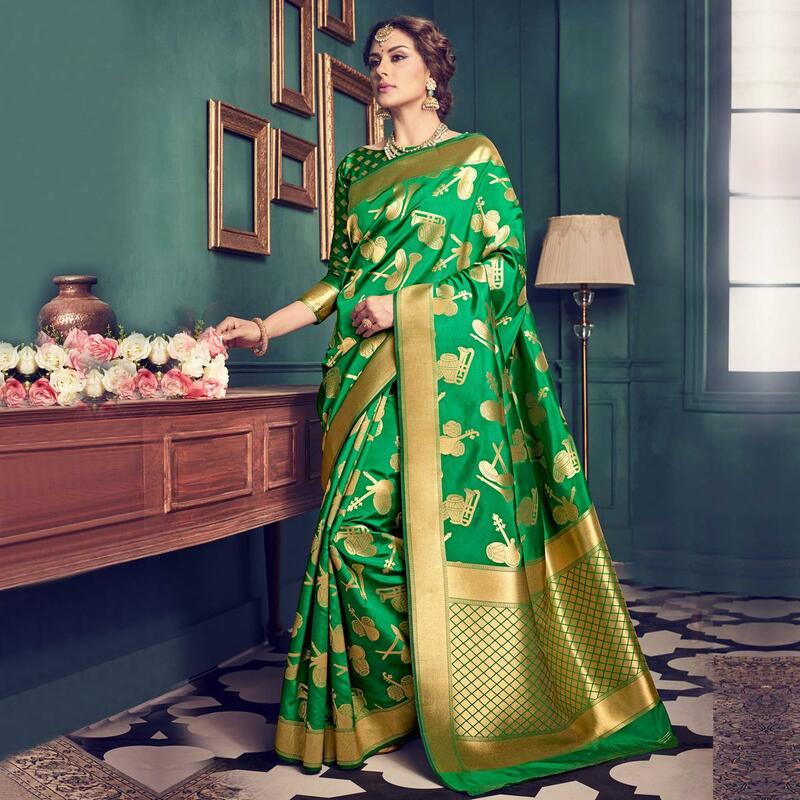 Sparkle your ethnic look wearing this green weaving work saree highlighted with classical music instruments motifs, geometrical designs and textured border. 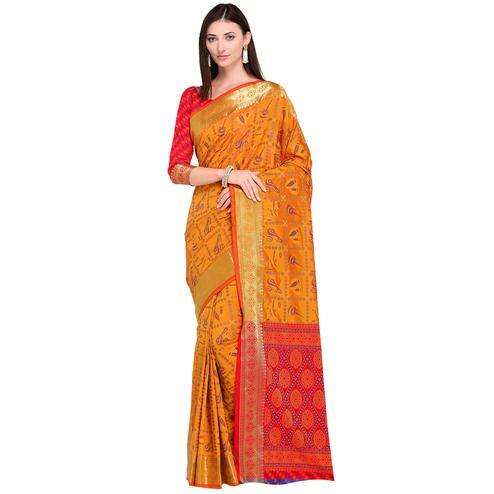 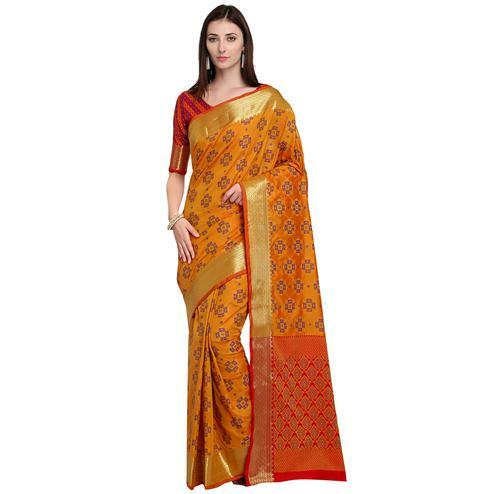 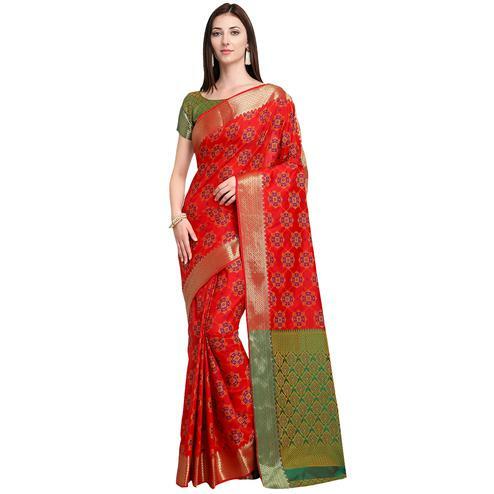 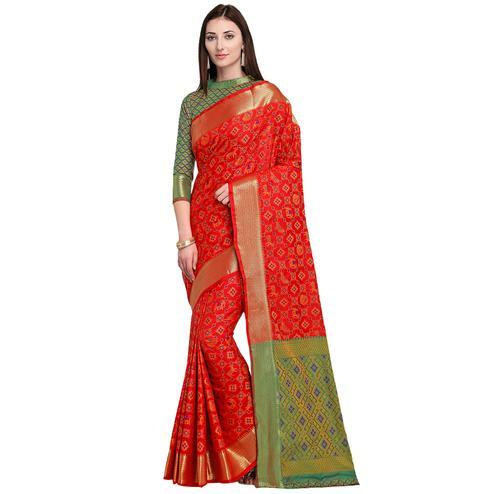 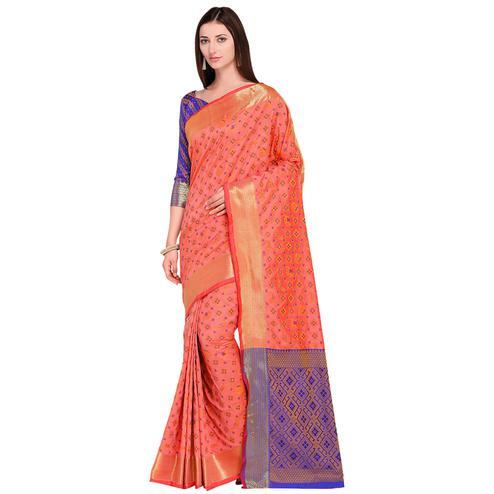 This traditional design saree is made out of polyester cottom silk fabric which has been accompanied with polyester cottom silk blouse piece having geometrical motifs and similar border. 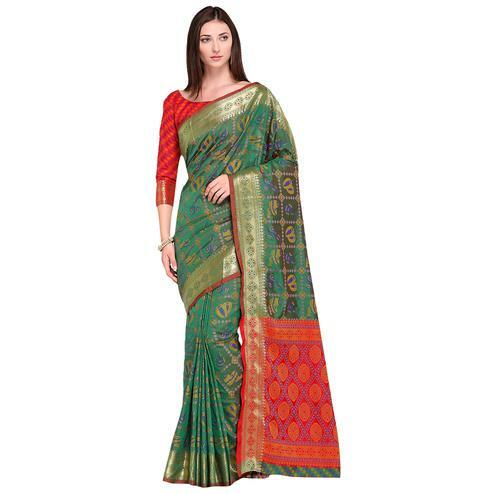 You can wear this saree for parties, functions and occasions. 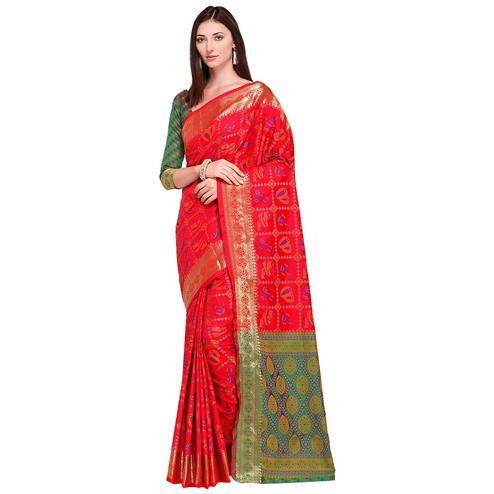 It's a must have saree in your ethnic wear collection.